Ø Postdoctoral Fellow for one year at Key Laboratory of Biogeography and Bioresource in Arid Land Xinjiang Institute of Ecology and Geography, Chinese Academy of Sciences, (CAS), China, 2015. Ø Postdoctoral Fellow for 8 months at Italian National Research Council (CNR), Italy, 2014. Ø PhD in Environmental Science, College of Natural Recourses and Environment, Northwest A&F University, China, 2012. Ø Diploma on Microbiology, College of Sciences, Zagazig University Egypt, 2004-2005. Ø B.Sc. Biology (Botany), College of Sciences, Zagazig University Egypt, May 2003. 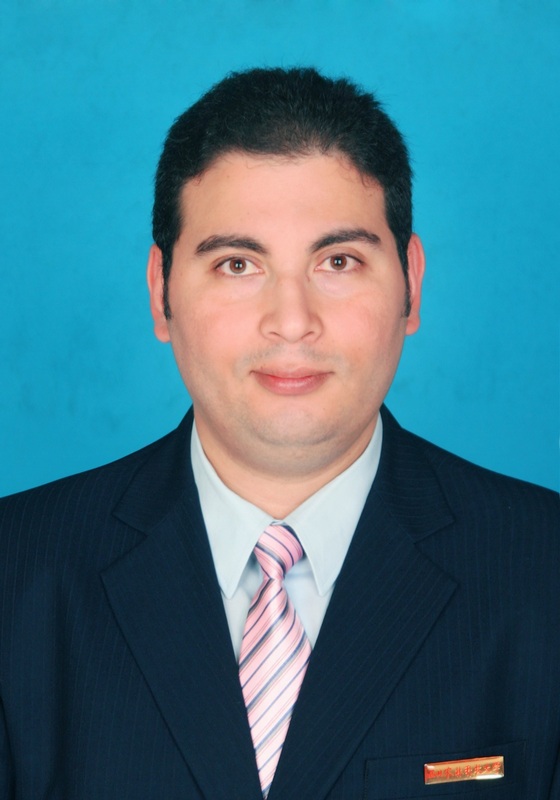 Main research interests: I am an academic researcher with a strong interesting in Environmental Microbiology. My Research interest is dealing with plant interaction with environment stress by using the microorganism such as Rhizobia, Streptomyces and Lactic acid Bacteria to alleviate the pollution of heavy metals and others toxin in aqueous solution & soil. Recently iam interest on study the deep mechanism of biosorption process to identify genes involved in metal-stress adaptation and also interested in the different antioxidant responses of stressed plants inoculated or non-inoculated with metal-resistant rhizobium strain . Moreover, on the other hand now working with chinese group on a project funded by the National Natural Science Foundation and ‘Hundred Talents Program’ of Chinese Academy of Sciences. These projects are most involved in systematic taxonomy, microbial ecology and PGPR research. Willing to collaborate on: Perhaps together, we can collaborate to improve and understanding some points of research related to Environmental Science such as Biosorption of Heavy metals, Plant Endophytes and PGPR research, Microbial Ecology, Biomass, Solar Energy and very welcome to assist any project interest to work in Egypt. Ø Awarded Talent Young Scientific position funded by Chinese Ministry of Science and Technology (MOST) and organized by Chinese Academy of Science (CAS), 2015. Ø Awarded a full scholarship for Post Doctor research in Italy funded by European Union (EU) and organized by Italian Ministry of Foreigner Affairs, 2014. Ø Award a full Scholarship for PhD study, China Scholarship Council (CSC), 2008-2012. Ø Awards six national certificates from the ministry of science and technology, Department of the international cooperation (MOST), 2008-2011, China. Ø Certificate from Gansu Natural Energy Research Insinuate UNIDO international Solar Energy Center for Technology promotion, 2011, China. Ø Certificate from Northwest A&F University for Chinese language courses 2008-2009. Ø Award from International School of Northwest A&F University for the best SCI publication 2011&2012. Ø Certificate from College of Resources and Environmental, Northwest A&F University for getting 2nd position on doctor forum, China, 2012. Ø Three certificate from Biopolitics international organization, Athens, 2012. Ø International Computer Driving License (ICDL) Certificate (2011).